Welcome To Castle Buick GMC, A Parts & Service Department In North Riverside, IL! Welcome to Castle Buick GMC! Our location in North Riverside, IL is more than just a new and used vehicle dealership – we are also proud to offer an excellent parts and service department to keep you in your new Buick or GMC vehicle for the long haul. Don’t drive a Buick or GMC? No problem! Our experienced team of Certified Service expert technicians are equipped to service vehicles of any make and model, as well as deliver specialized Buick and GMC service and repairs. We strive to provide a high standard of care for all of our Castle Buick GMC customers and offer convenient hours and competitive pricing to maximize our position as your one-stop automotive destination in the Chicago, IL area. Schedule your service appointment online for a day and time that works for your busy schedule. 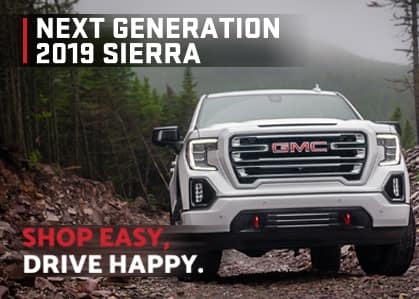 We are eager to discuss all of your unique GMC and Buick service needs with you soon so you can make empowered decisions regarding your vehicle’s maintenance. Visit our North Riverside, IL dealership today to speak with one of our expert technicians! If you are searching for a service department in the Chicago area that can take care of tire rotations, oil changes, brakes, batteries, multi-point vehicle inspections, and more, Castle Buick GMC can handle all of your automotive needs. Please contact us at your convenience to schedule your Buick or GMC service! Whether your car is fresh off the dealership lot or a more seasoned vehicle, it deserves quality care from a knowledgeable team of auto technicians that use genuine OEM parts. We know that some drivers prefer to take the do-it-yourself approach to car maintenance and upgrades, and that is one of the reasons our Castle Buick GMC dealership in North Riverside, IL is proud to offer an extensive selection of genuine OEM parts and accessories for sale. If you are looking for a specific part or accessory for your vehicle, you can find it at our dealership! The parts department at Castle Buick GMC is well-equipped to service, repair and upgrade your vehicle with authentic OEM parts. Our state-of-the-art parts department maintains a large inventory of genuine OEM parts for your vehicle, and if you are searching for a part that we do not currently have in stock, one of our friendly parts department team members will be happy to order it for you. We hope you will visit Castle Buick GMC when you are ready to service or upgrade your Buick or GMC vehicle! Thank you for visiting Castle Buick GMC to learn all about our wonderful parts and service offerings! Our experienced team of service technicians are eager to help you make empowered decisions about the routine maintenance of your Buick or GMC to keep you in your vehicle for the long haul. When you are ready to service or upgrade your car, we hope you will visit our dealership in North Riverside, IL for all of your automotive needs. We are proud to serve the communities of Oak Park, Brookfield, North Riverside, and Chicago, IL with an expertly-equipped parts and service department that is stocked with authentic OEM parts, and look forward to the opportunity to discuss your vehicle’s maintenance concerns with you soon.